At the University of Saskatchewan's Global Institute for Water Security (GIWS), sustainable use of the world’s water resources and protection against natural hazards such as flood and drought are our key priorities. GIWS is co-located with Environment Canada’s National Hydrology Research Centre at Innovation Place and funded through the Canada Excellence Research Chair in Water Security (CERC), a $30-million, joint federal-provincial-university commitment over seven years. Led by Dr. Howard Wheater, one of the world’s foremost hydrologists, we are developing the modelling tools, techniques and policies to sustainably manage the world’s freshwater resources. Officially launched in March 2011, our institute builds upon leading expertise and capacity in water research at the U of S. At GIWS, faculty and government scientists work with students and post-doctoral fellows on interdisciplinary teams to understand how climate change, land management practices, and development of natural resources are affecting our water environment, and develop the improved modelling tools needed to sustainably manage water. GIWS combines expertise in natural sciences, engineering and the social sciences, recognising that people and their activities are of critical importance for water science and management. While our institute’s work addresses water issues world-wide, an important focus is on Western Canada. We are developing the Saskatchewan River Basin as a high-quality observatory with state-of-the-art monitoring of the Canadian Rocky Mountains, Boreal Forest and Prairies. Our resesarch teams are improving our ability to predict river flows, and understand how water quality and river basin ecosystems respond to climate change. Through our socio-hydrology research, we go beyond traditional water resources management to integrate humans and their activities into water science, and ensure that water decision-making incorporates a range of values and perspectives about the meaning, value and use of water. Our researchers are holding workshops and activities throughout the river basin to talk to those engaged in the management of water resources, understand their concerns and what scientific tools are needed to foster water security on the prairies and beyond. To undertake world-class research that enables and enhances water security. We define water security as the sustainable use and protection of water resources, the safeguarding of access to water functions and services for humans and the environment, and protection against water-related hazards (flood and drought). Create a unique opportunity for governments, industry and universities to invest in and collaborate on one of our most pressing global issues. We have developed new, internationally recognized research facilities, have taken on important national and international science leadership roles, attracted substantial additional research funding, and are beginning to deliver the exciting science that was foreseen at the programme outset. Recent highlights include three ground-breaking papers in the journal Nature, election of GIWS Associate Director McDonnell to the Fellowship of the Royal Society of Canada, establishment of the MOST (Mine Overlay Site Testing) facility, and leadership of two World Climate Research Programme (WCRP) initiatives (the Changing Cold Regions Network Regional Hydroclimate Project, including the Saskatchewan River Basin (SaskRB; 406,000 km2) and Mackenzie River Basin (MRB; 1.8 million km2), and the International Network for Alpine Research Catchment Hydrology - INARCH). INARCH also forms part of UNESCO’s International Hydrological Programme. These programmes address critical societal needs and support the development of the new trans-disciplinary science. These are designed to address WCRP priorities related to large-scale science, as well as the needs and concerns of local and regional stakeholders. The Canada Excellence Research Chair (CERC) program is an initiative of the Government of Canada that aims to attract world experts to Canada and position Canada as a global leader in research and innovation. 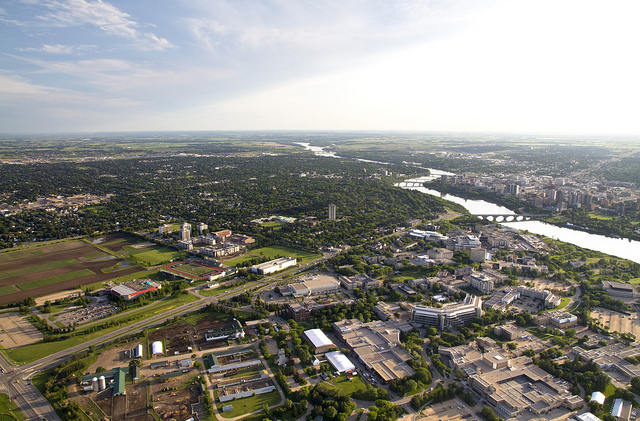 In May 2010, the University of Saskatchewan was awarded $10 million over seven years from the federal program to establish a CERC in Water Security and launch a world-leading water research and training centre. This $10 million commitment was matched by the Government of Saskatchewan and the University of Saskatchewan for a total of $30 million. Other major institute funding partners include the Canada Foundation for Innovation, the Natural Sciences and Engineering Council and the Social Sciences and Humanities Research Council of Canada and Western Economic Diversification. In addition, we maintain a strong working relationships with various non-governmental organizations and industry partners as provided in our annual progress reports. The Global Institute for Water Security and Environment Canada have established a formal partnership with the goal of advancing innovation and high-quality water science research. As part of this partnership, the Global Institute for Water Security is co-located with Environment Canada’s National Hydrology Research Centre in Saskatoon, Saskatchewan. Saskatchewan Research Council (SRC) is a strong supporter of the research and development component of the water sciences field and has a history of research partnerships with the University of Saskatchewan. SRC has committed to provide in-kind research, facility sharing and equipment to the Global Institute for Water Security.